This is my favorite side to make. Of course, grocery stores sell pre-made cheesy rice and broccoli, but I prefer to use my own ingredients – and know what’s going into my dish! Whole grain rice. I used instant. (1 cup) *note: Once opened, I keep my rice in a zipper bag with the directions cut off of the box also in the bag. Cheese. I used sharp cheddar and grated it myself. I cooked half a bag of frozen broccoli on the stovetop (directions on bag). 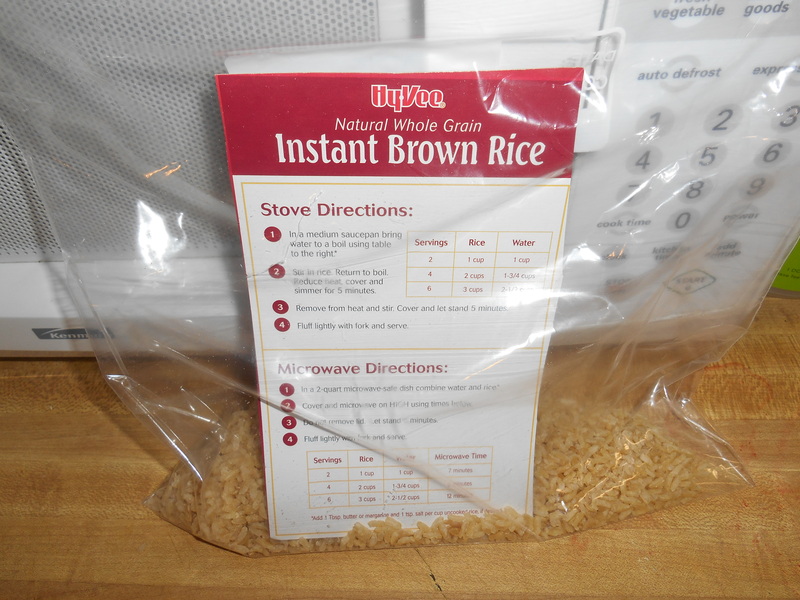 I cooked 1 cup rice on the stovetop, too (directions on box). Then I used a slatted spoon to add the cooked broccoli (leaving the water it cooked in) to the cooked rice. Grated cheese right into the pot and stirred up while still warm. Every ingredient I used was generic and inexpensive. This entry was posted in Recipe and tagged broccoli, cheese, cheesy rice, cheesy rice and broccoli, easy, frozen broccoli, generic, inexpensive, recipe, rice. Bookmark the permalink.